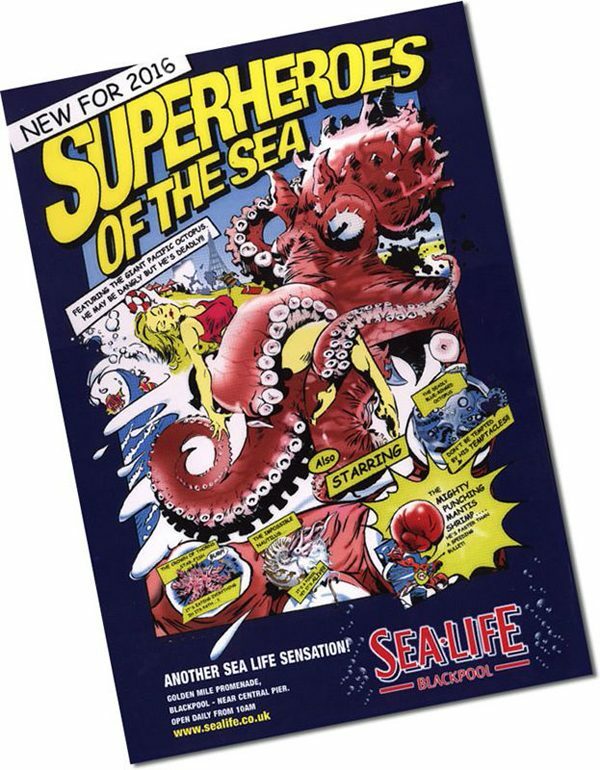 I had a lot of fun creating these 8-sheet comic-style posters for the fun folk at SeaLife Centres to promote a new exhibit featuring the Giant Pacific Octopus, the highly poisonous Blue Ringed Octopus, and the amazing Punching Mantis Shrimp which can apparently punch through glass – Bruce Lee beware! 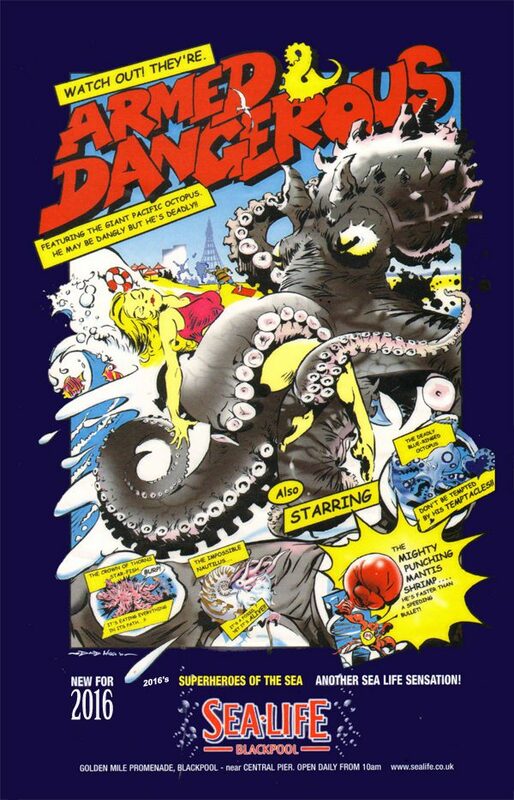 Version 1 “Armed & Dangerous” and Version 2 “Superheroes of The Sea”. Good Times!